Hundreds of tap dancing resources collected by Southern California tap dancer Kathie Fry. Includes tap dancing lessons, tap festivals, tap competitions, tap dancing styles and steps, professional tap dancer bios and photos, tap ensembles, free online videos of tap dancing, tap history, tap organizations, tap dancing in the movies and stage musicals, and articles and Web sites focused on tap dancing. For more information about the Tap Dancing Resources Web site and the people behind it see About Us. Tap dancers in every part of world are invited to use this Facebook Group- to announce and discuss their local tap dancing festivals, workshops, tap jams, live stage performances, film screenings, tap intensives, fundraisers, and any other event focused on tap dancing. Information about some of the most interesting and most commented on discussions in the "Tap Dancing Friends Discussions" Facebook Group. To visit the group directly go to Tap Dancing Friends Facebook Group. Annual celebrations of tap dancing in many different countries. Festivals typically include activities such a master classes, social tap jams, dance-off challenges, and live performances. 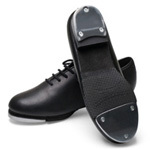 Information about tap shoe brands and models organized by maker, distributor, or seller name. Includes Bloch, Capezio, Duran, Grishko, La Duca, Miller and Ben, Ruben Sanchez, and So Danca. Also includes companies providing assistance with custom tap shoe orders, fdor example Dancing Fair and Thommie Taps. Where to find tap dancing lessons world wide, organized by continent, by country, and by state or province. A collection of fan sites and profiles of some of the most well-known tap dancers of the past and present, from countries all over the world. Videos teaching or demonstratig individual tap dancing steps organized by tap step name. Online tap dancing tutorials taught by master tap dancers. A collection of fun and entertaining tap dancing videos that can be viewed free online. All of these videos have been featured and highlighted on the "Tap Dancing Resources" Blog, Facebook Page, and Web Site or in the "Tap Dancing Friends Community" Forum.